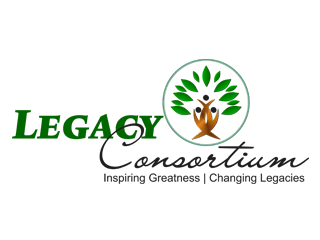 Dr. Sutherland is the founder and CEO of The Legacy Consortium (TLC), and Director of the Legacy Changers Counseling Centers, a division of the TLC. Dr. Sutherland is an Assistant Professor of Counseling at Richmont Graduate University’s School of Counseling. She also serves as the Dean of Assessment, Planning and Accreditation, overseeing program and institutional accreditation. She is a Licensed Professional Counselor (LPC) in the state of Georgia, an NBCC Board Certified Telemental Health Counselor (BC-TMH), and an NBCC Approved Clinical Supervisor (ACS). Dr. Sutherland is also a member of the American Counseling Association (ACA), the Association for Multicultural Counseling & Development (AMCD), the Association of Counselor Educators and Supervisors (ACES), and the Licensed Professional Counselor Association of Georgia (LPCA-GA). Dr. Sutherland earned her PhD (Counselor Education and Supervision) from Regent University, Masters of Science (Professional Counseling) from Georgia State University, and Bachelor of Science (Psychology) from New York University. In the field of counseling since 1998, and licensed since 2001, Dr. Sutherland has provided therapeutic services in the private practice, psychiatric residential, in-home, and outpatient mental health settings, for adolescents and adults, through individual, group, couples, and family therapy. Dr. Sutherland has specialized in working with adolescents, couples and families for the last 15 years. Her research has led to the development of a 10-week family conflict resolution and relationship restoration program geared towards improving intergenerational communication and relationship interaction between spouses, parents and children, and siblings. During her years in the field, Dr. Sutherland has also served as a Director of Mental Health and Clinical Services for mid – large sized outpatient mental health organizations providing therapeutic intervention in the Cobb, Atlanta, and Stone Mountain areas. In this capacity, Dr. Sutherland provided strategic and financial direction, administrative oversight and accountability for clinical service provision, as well as clinical supervision for mental health professionals providing services to the community at large. Dr. Sutherland has been an Adjunct Professor at Kennesaw State University, and during the last several years has been involved in ongoing training of undergraduate and master’s level students entering the field. Dr. Sutherland provides clinical supervision services to clinicians pursuing licensure. During the last 30 years, Dr. Sutherland has served as a guest lecturer, trainer and presenter for various state, regional and national counselor professional organizations including the SACES, ASERVIC, CAPS, GCCA, AMHCA, and LPCAGA. 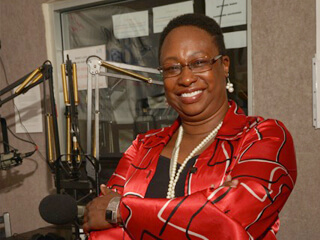 Additionally, she has worked with social, civic, educational and clinical organizations such as the University of Georgia, the Foster Families Treatment Association, the Woman’s Missionary Union of New York, the Women’s Missionary Union of the Southern Baptist Convention, the National Office for School Counselor Advocacy, Elite Women of Excellence, local churches, and various mental health agencies.